The new Joomla generation – Joomla 4 introduced incredible new features, huge updates at core and totally new front-end and back-end template. 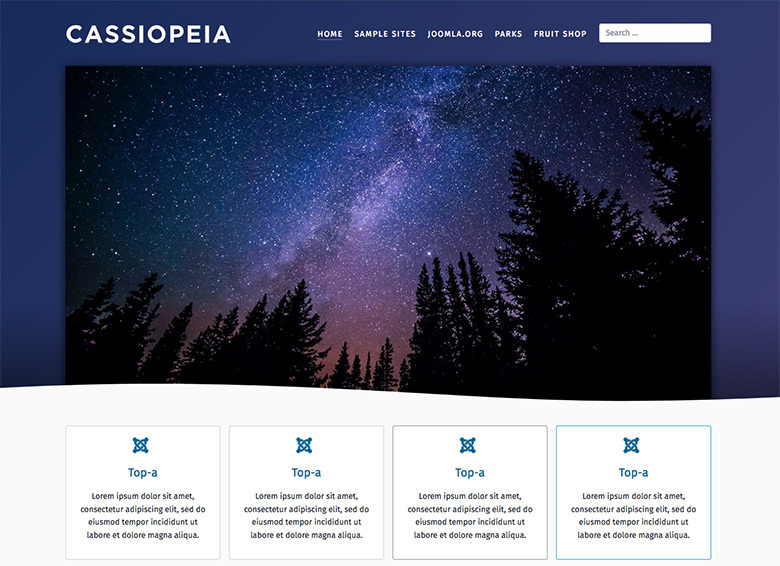 In this blog post, we will focus on new front-end template of Joomla 4 – cassiopeia with more flexible layout system, bootstrap 4 integration, optimized codebase, new web technologies and more. 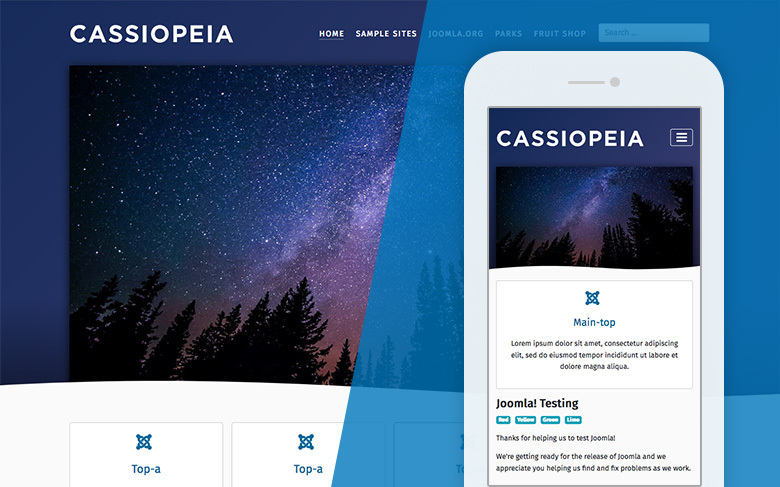 Joomla 4 new template – cassiopeia integrates Bootstrap 4 that is the most popular HTML, CSS, and JS framework to help build responsive, mobile-first websites easier and faster. Joomla 4 new front-end looks comes with more modern and colorful style than any previous Joomla default front-end templates like Beez3, Protostar. 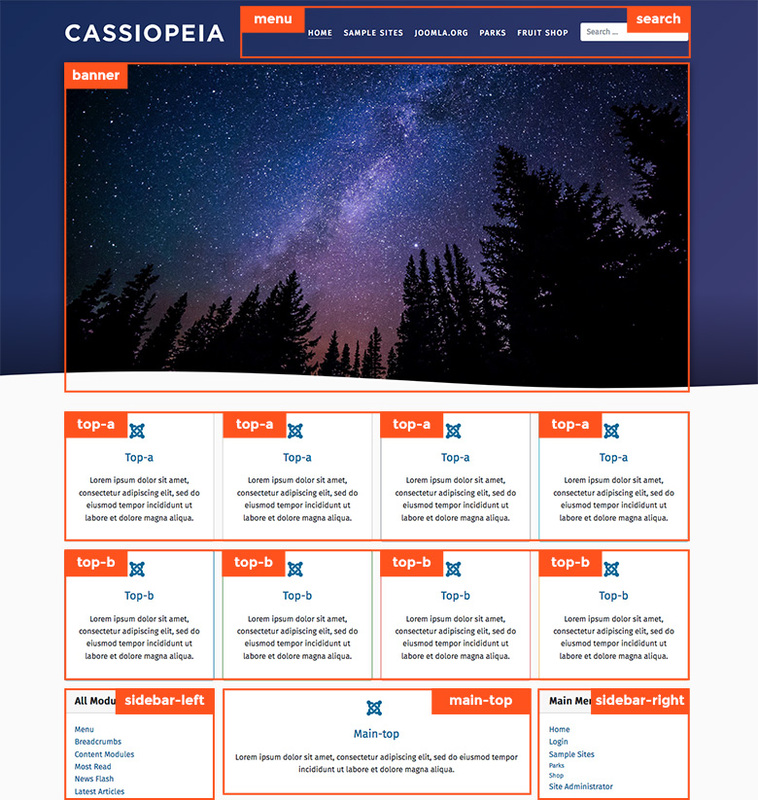 Joomla 4 cassiopeia template is design to work better on responsive layouts : mobile, tablet and also have better performance thanks to the Bootstrap 4 integration, new web technologies and the codebase optimization. 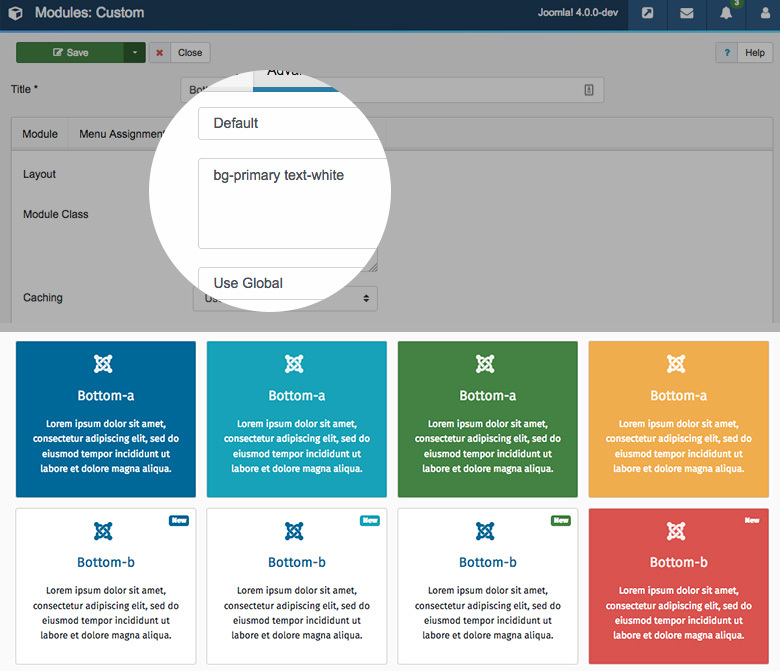 The new Joomla 4 template has more flexible layout system than ever, it has more module positions based on 4 columns layout system that let user build layout their ways with ease and layout customization will be easier as well. 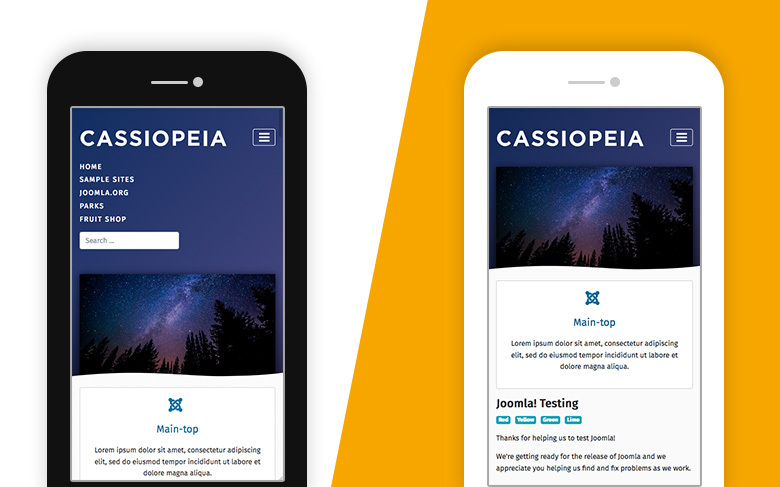 Cassiopeia template folder structure is clear, easy to understand functionality of each folder that will help developer customize template. 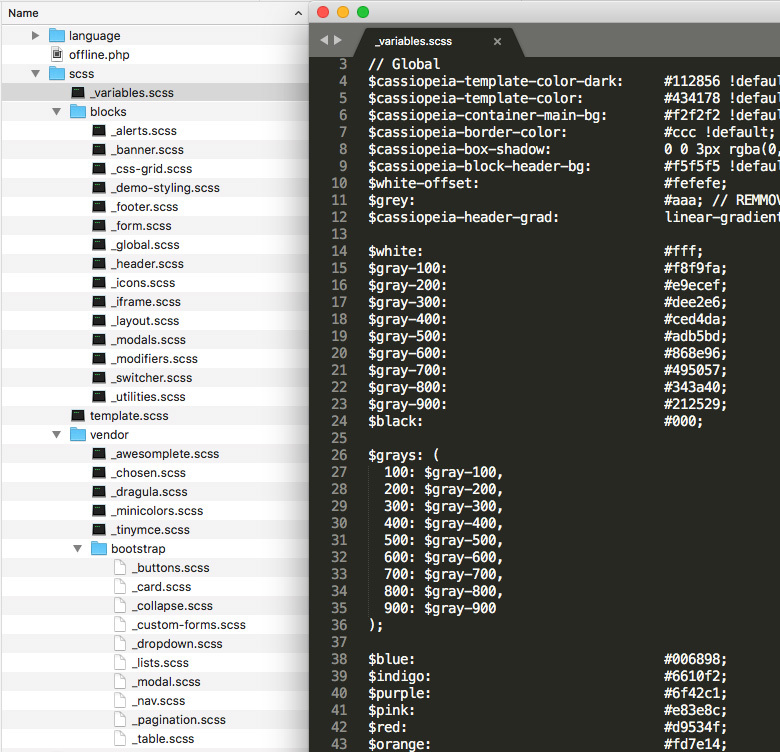 SASS is very powerful CSS extensions designed to make CSS more maintainable, themeable, and extendable. 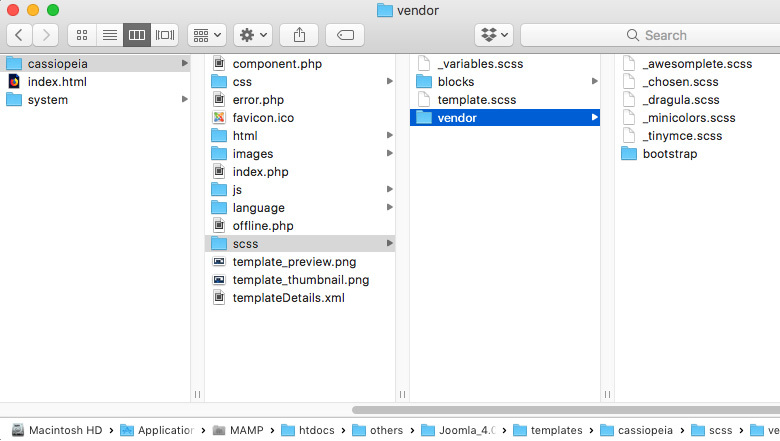 With the purpose of helping user build website faster, Joomla 4 new front-end template supports variety of module variations. 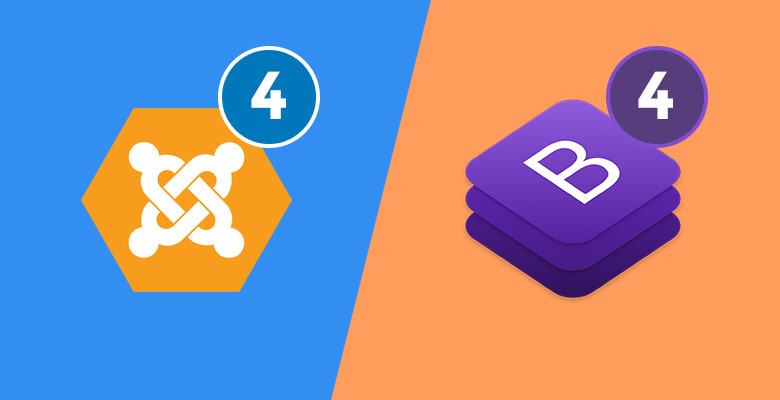 Joomla 4 focuses on coding quality, performance and ease of customization, therefore the new front-end template also has optimized and well structured codebase.